Testing and debugging the flow before it works with real data lets you identify and fix any errors. You can make sure that your data is transferred across the apps as intended. Click the Test & debug icon in the top right corner after saving the flow. Your flow fetches data for testing based on the type of trigger. App trigger: There are two types of app trigger: realtime and polling. If the flow contains a polling trigger, it automatically fetches the last updated data. If the flow contains a realtime trigger, you will be asked to make an update in the trigger app. When you make an update, the flow uses this data to run a test execution. 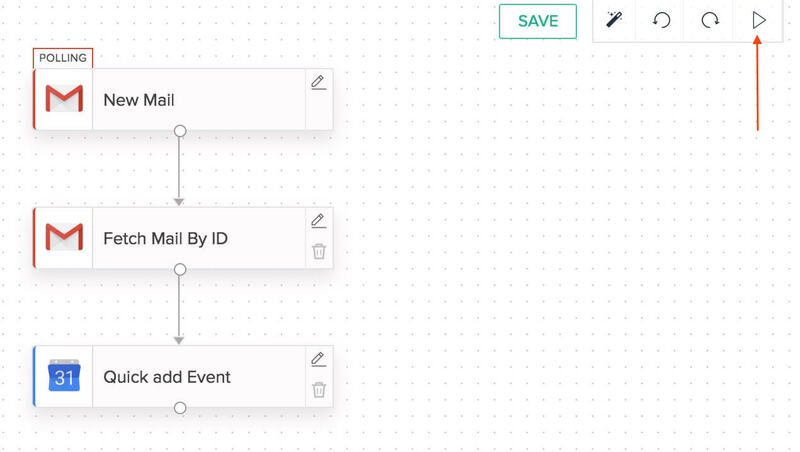 Schedule trigger: The flow will run a sample execution when you click the Test & debug icon. 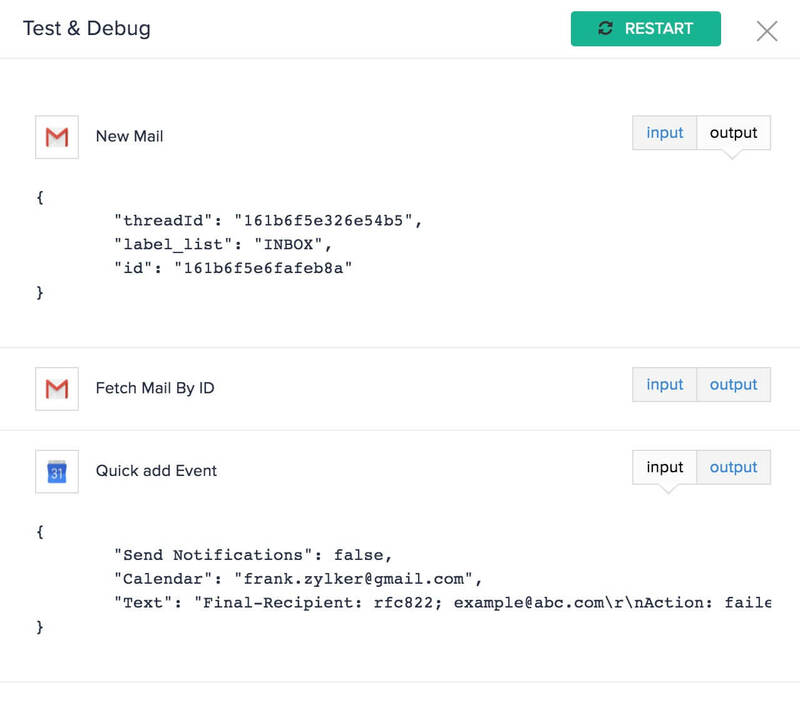 Webhook trigger: You will be asked to make a sample update to trigger the flow. When you make an update, the flow uses this data to run a test execution. When you see the sample data for App and Webhook triggers, click Test to run a test execution. The flow will execute using this sample data. Using this sample data, the flow will execute. Check the input and output of each step to ensure that data is transferred without errors, especially if the flow has mapped data. You can add another record in the trigger app and click Restart to run test execution again. Make changes if necessary and test your flow again before switching it on.